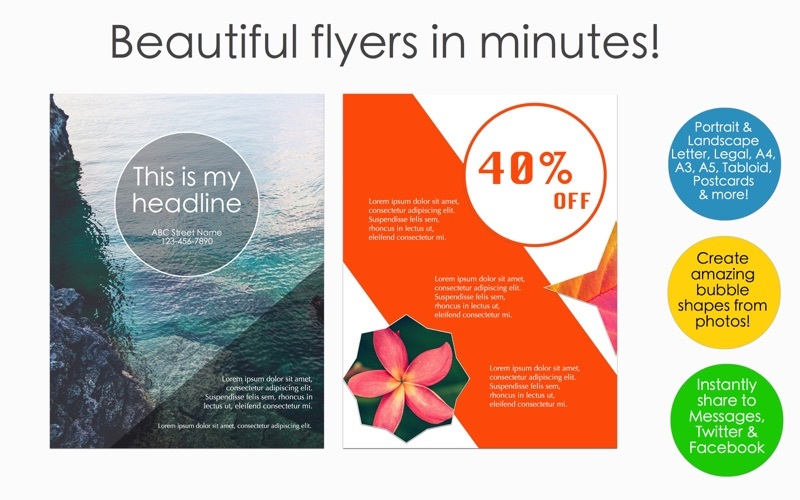 Create beautiful professional looking flyers in minutes! 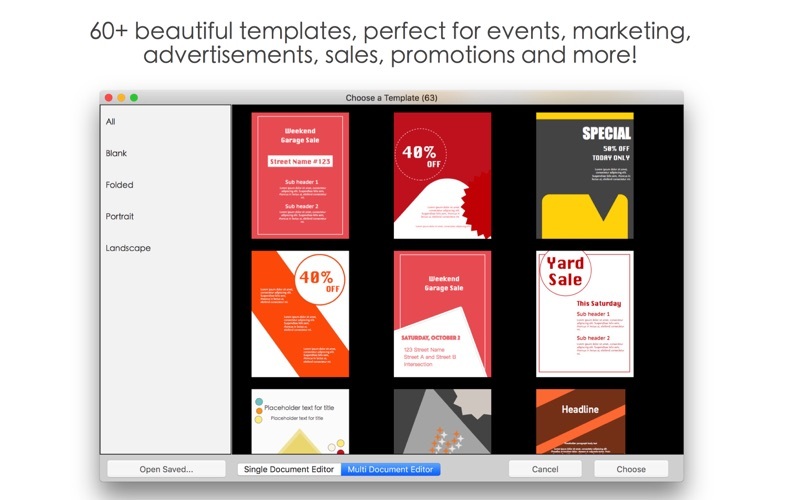 Easily add objects and apply formatting using the incredibly simple drag and drop editor. 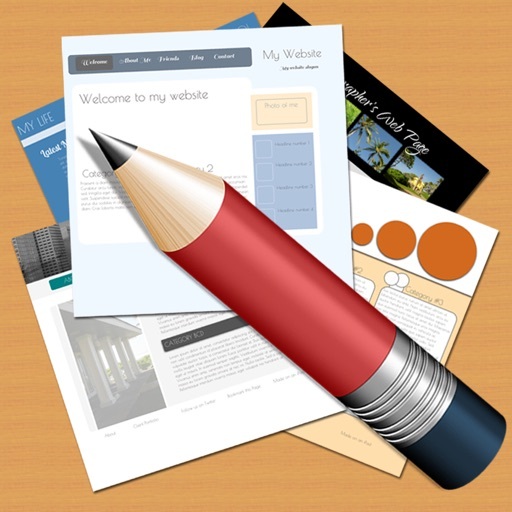 Design an attractive flyer using full edge to edge background image or pick the perfect full canvas background color. 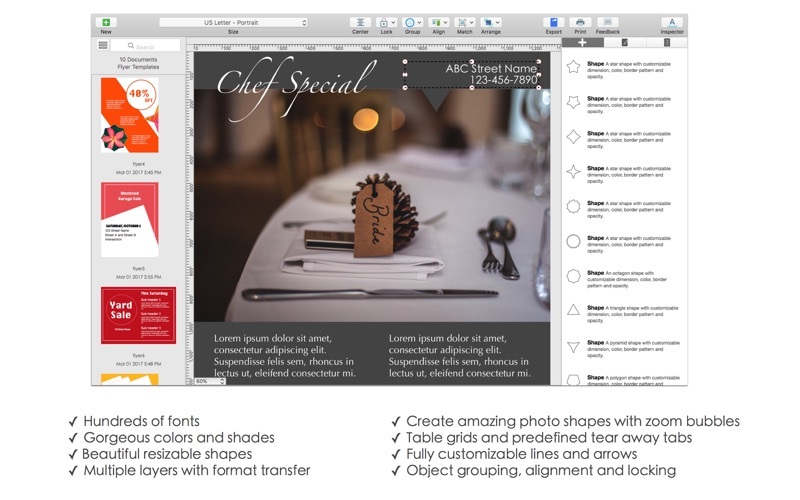 Built in printing features allows you to produce high quality flyers right at home. Choose from a wide selection of paper dimensions and layout orientations. Easily apply formatting using the collapsible Style Editor. 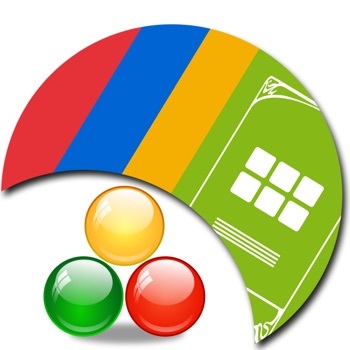 Supports various paper size and layouts, prints right within the app. Free form layout with intuitive support for object alignment, multiple layer arrangement. 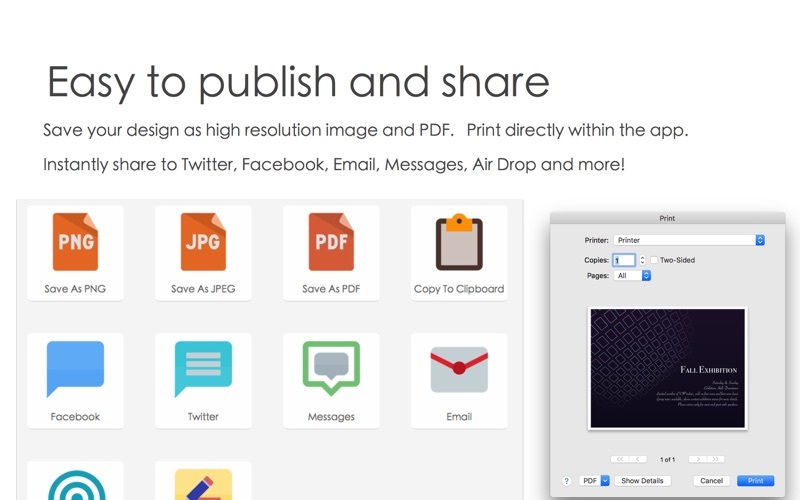 Print within the app or instantly share on Twitter, Facebook, Messages, Air Drop and more! 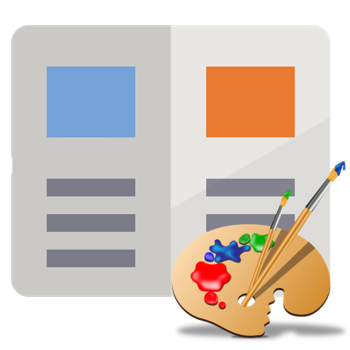 Export pixel-perfect high resolution designs in JPG, PNG and PDF formats. 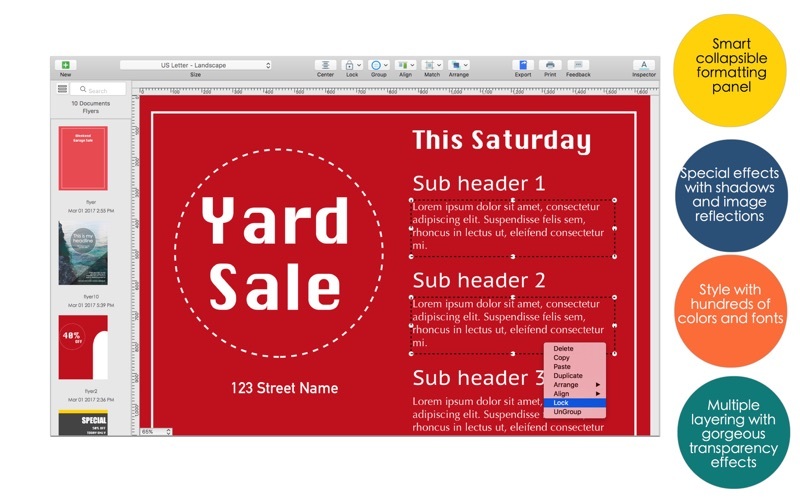 True drag and drop editor allows you to easily add text boxes, photos, tear-away strips, table grids, shapes, lines and arrows. Create vibrant designs with over 500 gorgeous colors and shades. Dozens of professional templates with various layout designs, customized for flyers, invitations and special events. Personalize, customize and beautify with ease! 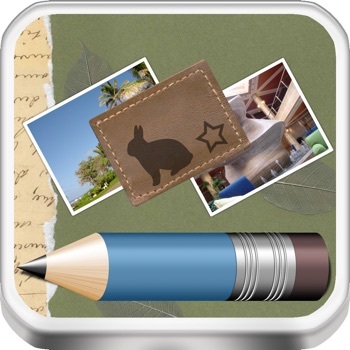 Easily create beautiful shapes from photos using zoom bubbles. Supports multiple image effects such as image blurring, shadows and reflections.